The 2018 Farm Bill, passed by Congress on December 12, 2018, and signed into law by the President on December 20, 2018, includes Section 10113 titled “Hemp Production,” which removes hemp from the Controlled Substances Act, places full federal regulatory authority of hemp with USDA, and allows State departments of agriculture to file hemp programs plans and regulate hemp cultivation per their State-specific programs. Vote Hemp went on to say that in addition to defining hemp as cannabis that contains no more than 0.3% THC by dry weight, the bill asserts a ‘whole plant’ definition of hemp, including plant extracts; and removes roadblocks to the rapidly growing hemp industry in the U.S., notably by authorizing and encouraging access to federal research funding for hemp, and removing restrictions on banking, water rights, and other regulatory roadblocks the hemp industry currently faces. The bill also explicitly authorizes crop insurance for hemp. The full text of the hemp provisions in the Farm Bill of 2018 may be found at: https://www.votehemp.com/2018farmbill. David Bronner, Cosmic Engagement Officer (CEO) of Dr. Bronner’s, soaps in North America that use hemp seed oil in its products said, “Dr. Bronner’s has advocated for the legalization of hemp farming since we added hemp seed oil to our products in 1999, and fought and beat the DEA during the Hemp Food Rules Challenge from 2001 to 2004. As a maker of hemp products, we are eager to source the 20 tons of hemp seed oil we use annually from American farmers. The beauty of brands like McDonald’s (MCD) or Coca-Cola (KO) is consistency. Consumers can walk into any McDonalds and always expect the hamburger to be relatively the same. They can open a can of Coke and it will always taste the same. This isn’t the case in cannabis these days. A popular strain like Blue Dream might have a variation in its THC percentage depending on the state where it was cultivated. A 2015 study determined that “marijuana strain names often do not reflect a meaningful genetic identity.” Another test of cannabis products in Alaska found that the THC levels were not what was advertised. This lack of inconsistency is causing companies like MMJ America to wipe its cannabis slate clean and start over with a new crop of cannabis plants that it can control. MMJ is switching its existing, vertically-integrated Denver facilities, as well as enabling its new ones in Las Vegas, to a method powered by TriGrow Systems that will standardize and automate the cultivation process. A combination of custom software and specialized hardware is resulting in consistent results from plants. This customization even extends to proprietary nutrients that are blended for specific strains as well as to optimize plant growth. The software solution allows for a consistent product regardless of the location of the cultivation facility so that MMJ’s customers can have a similar consumption experience no matter where they buy the product. Not unlike McDonald’s and Coca-Cola. 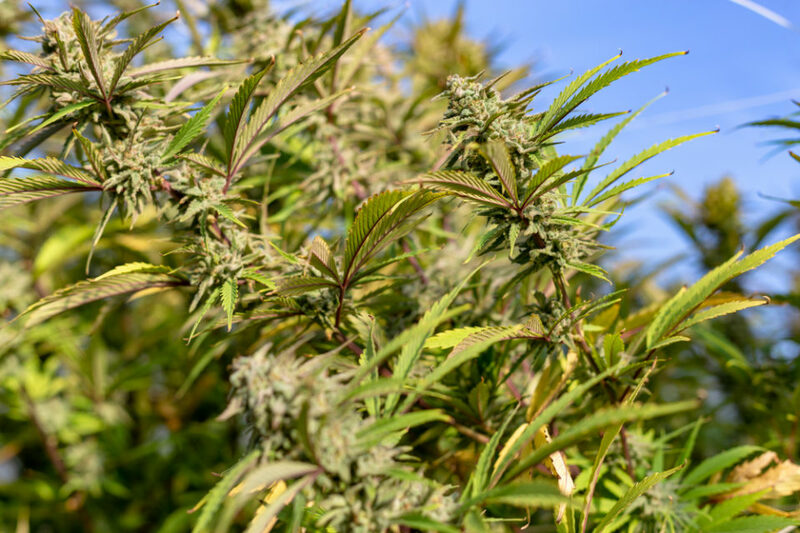 The consistency is also beneficial from a business standpoint as it gives the grower some predictability and that allows the company to have reliable information which helps with business planning. The cultivators at MMJ America feel they are akin to artists when it comes to growing cannabis, but they have said that the TriGrow System will take their artistry and truly replicate their strain. TriGrow says its system can increase the average potency of cannabinoids by 28.8%. Green Market Report has visited many grow facilities, but what set this one apart was the vertical stacking of the TriGrow units. It’s typical to see rolling tables to maximize the floor space, but stacked tables with catwalks really maximize the amount of yield a producer can get from a warehouse space with tall ceilings. These units can be stacked three high which can increase the yield by 7.8 times and they are like Lego pieces. The units can be stacked on top of each other or linked side by side and each comes complete with its own set of lights. There is a catwalk system that comes with vertical stacking. Another producer in Washington state has decided to implement the same system for its newest 30,000 square foot facility in Bellevue WA. Hannah Industries has been growing cannabis for two years and a traditional setup seemed to be the way to go, but with competition heating up the pressure is on to save money on the build out plus produce more. Hannah said it estimates it will be able to produce 80% more weight out of its new facility with TriGrow and save 10-15% on the build out. The company has also partnered with cannabis loyalty software company Baker, which recently went public as a part of the TILT Holdings (CSE: TILT) (OTC: STTVF)) rollup. As more companies become multi-state operators, consumers will expect and demand that the products be consistent. Being able to deliver this consistency is going to be a challenge for many and no doubt they will have to seek out cultivating methods that move from traditional styles to the latest technology and hardware. “TriGrow provides an opportunity to create scalable solutions producing consistency across production facilities,” said David Kessler, SVP of Horticultural Solutions at TriGrow. “Our goal is to provide precision cultivation solutions, enabling indoor growers to scale operations efficiently and grow the highest quality crop consistently, at low operating costs” he added. When a company is caught growing cannabis illegally, it’s often the landlord who’s left to clean up the mess. The criminals rarely come back for their equipment and the police want nothing to do with it either. So, the landlord is confronted with clearing out sometimes hundreds of sophisticated, expensive lights, watering systems, and other various cultivation items in order to get the space back to rent. Metal scrapper and the owner of CH Hydroponics James Robba stumbled into the market when he was asked to disassemble a huge illegal grow. Initially, he tried taking the lights apart to sell for scrap metal. Then he found that he could make more money keeping the lights intact and reselling them versus taking the lights apart. He began testing the lights to see if they worked and when they did he began selling them. “I was getting between $200 and $250 per ballast,” said Robba. For the uninitiated, ballasts run grow lights that are used in indoor grows. After selling off his first tear down, he began running ads on Craigslist offering his demo work in order to get more second-hand equipment. “We started tearing down huge grows,” he said. “People that get busted don’t go back for their equipment.” He said building managers and landlords began calling him. “We’ve seen gnarly stuff,” said Robba. “We’ve seen people tunnel down, right through a foundation, down 20 feet to tap into the main power line.” He has disassembled illegal grows with 500 lights making these $5-$6 million illegal operations. 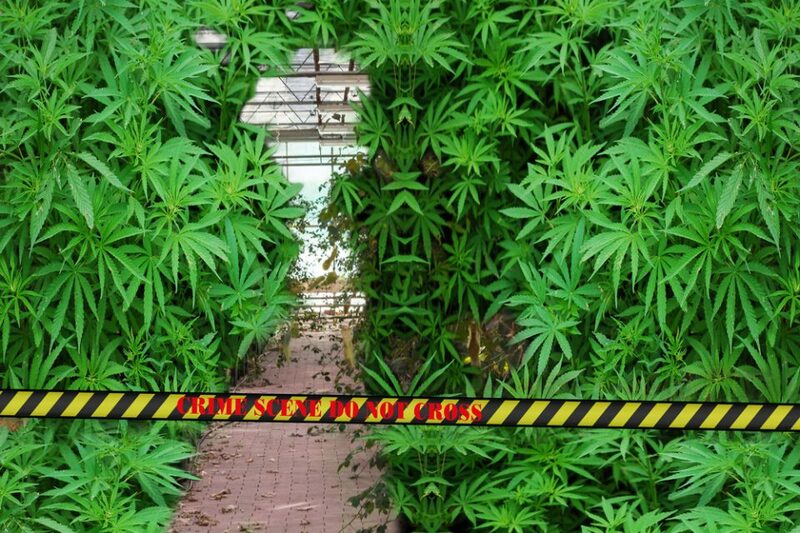 You would think that it’s the landlord who has called the police and informed them about the illegal grow. But Robba said instead it’s usually disgruntled employees who end up tipping off the police. He told one story about an unhappy employee who knew the building didn’t have security guards on Sunday, so he went there with the intention to steal. Instead, he set off a silent alarm which automatically called the police. Oops. Another way that illegal grows are discovered is that cities are using drones to find buildings with excessive amounts of HVAC equipment on the roof. Most buildings will have a few of these mechanical units on the roof, but a grow could have as many as 40. A telltale sign of something unusual. Then there’s the smell. Robba said one operation without thinking opened a roof panel on the building, thus letting out the fragrant aroma of its cannabis plants. Neighbors complained and called the police. With all these illegal grows getting busted and torn down, one would think people would be going to jail but that isn’t happening. Police departments found it wasted time and money to go after the lawbreakers. An operation one block from the police station in San Bernardino was busted with over 25,000 plants and no one went to jail. Instead, cities found that good old-fashioned building codes and civil penalties were the way to go. It’s very black and white. There is no way to argue building codes. It removes the police and courtrooms from the equation. It’s very easy for a city to tag a property with a building code violation and charge the owner with fees and penalties. Five tons of HVAC equipment on a roof is a dangerous situation for the occupants inside because in general buildings aren’t able to withstand that amount of weight. It’s a violation and the city can earn big money by charging an owner a daily penalty until the building comes back into compliance. So, rather than spend money on police and attorneys to shut down an illegal grow, the city can instead earn money and still have the same outcome. This incentivizes the owners and landlords to fix the situation as quickly as possible. If the equipment is cheap and old, Robba will charge the owners to remove it. If it’s high quality, then they pay the landlord a reduced rate to demolish the grow. Robba said he does about two a month, but then added he’s already done three this past month. A new light can cost $250 each, while Robba pays about $20 for each ballast, he can resell them for roughly $75. He believes the high tax rate of legal cannabis companies in California is creating the shadow black market. While many hobbyists buy his used equipment, he also believes that plenty of small black market operators are buying it as well. Still, he said it is getting harder for the illegal grows to stay in business as the city cracks down. He doesn’t condone breaking the law, but he said the disruption of legalization has hurt the small operators who will now need to turn to other forms of business to make a living. Other things that could be more harmful than a small grow operation. Medical marijuana producer WeedMD Inc. (WDDMF) reported revenues of $2.1 million for the three months ending June 30, 2018. This was an increase of 83% sequentially and 787% over the same time period during last year. Revenue of $3.2 million in the first six months of fiscal 2018 represents a 1271% increase compared to the first half of fiscal 2017. 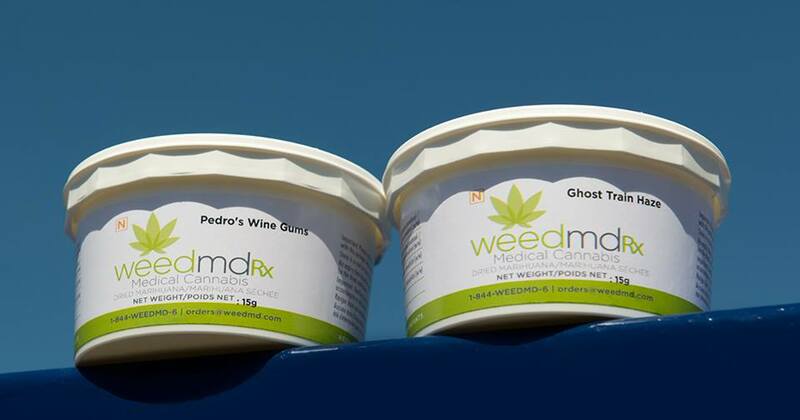 WeedMD also reported a net comprehensive loss of $1.7 million, which was much lower than last year’s loss of $4.7 million for the same time period. The loss per share for the quarter was $0.02 versus last year’s $0.08. WeedMd said its cultivation facility was recently licensed and plants were moved into the 25,000 square feet of space throughout the month of June. This puts the company on schedule for its first harvest by September 2018. 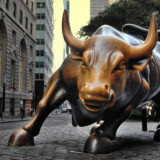 The month looks to be a busy one for the company as it is also planning to expand from the current three growing rooms to four over the next week. By the end of September, six more rooms representing roughly 60,000 square feet are expected to be licensed and populated. By the end of this year, WeedMD is planning on having 400,000 more square feet commissioned and more than 500,000 square feet of total cultivation production space. As the July 1 regulations had most California cannabis companies scrambling to meet compliance standards for cannabis products, two companies implemented the best practices they had been planning since January 1 and are now dominating the California cannabis industry. Headset, a real-time data source for the cannabis industry released their Insights Report where Caliva and Papa & Barkley are creeping up to the top, holding 50 top-10 rankings across the state of California. Caliva is leading in the flower, pre-roll and vape categories, proudly showcasing information about the testing standards completed for phase II compliance in California. The San Jose based retailer offers some of the industry’s finest pre-rolls, including “House Doobies” and Dogwalkers, and Toasties, rolled into the Caliva Collection. 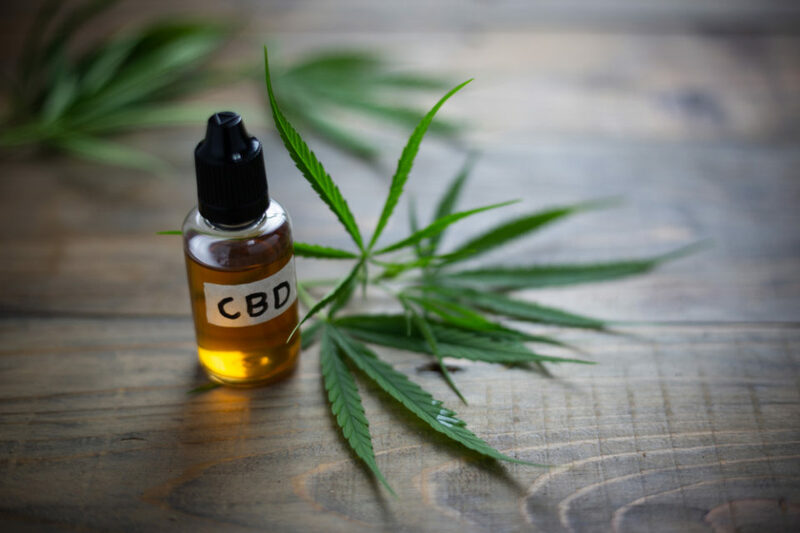 By passing the California cannabis standards that came into effect July 1, in regards to packaging, testing, labeling, using child- and tamper-proof technology, and using prominent wording on labeling, Caliva rose to the top. The Caliva Collection is an excellent example of the best practices in packaging, labeling, and engaging the customer experience. Papa & Barkley is dominating the California cannabis industry in the way of cannabis tinctures and topicals. Their strategies began early with an “all hands on deck” approach to the changing packaging and labeling regulations. 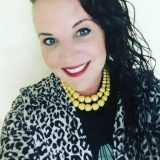 In the ever-changing industry, they never see their job as complete, “We are currently working on flexible on-demand packaging systems in anticipation of more regulation changes,” says Kimberly Dillon, CMO. Of their success in topicals, Dillon attributes ease of use and a demand for non-psychoactive products; “Topicals are an easy introduction to use as a wellness product,” Dillon says. Providing products ranging from balms to patches, to body oils, to body soaks under the Releaf brand, Papa & Barkley provides clear labeling on both their products and on their website. Tinctures and capsules allow oral ingestion for those who are looking to use cannabis without smoking or vaping. It required a strong investment to get cannabis products up to snuff for California’s regulations. “We did not predict the large impact that the July 1 regulations would have on the industry,” says Caliva’s O’Malley, “We took our lumps in Q1 of this year,” in preparation for the July 1 regulations. For Papa & Berkley, the process is continuously evolving as they come out with new product lines and anticipate new regulation changes, demonstrating the need to be nimble in the industry. Both companies are seeing new opportunities emerge and are working those into their strategies. “Products need to fit into consumers’ daily lives and for the vast majority of the new cannabis consumer, there needs to be micro-dosed options,” says O’Malley. 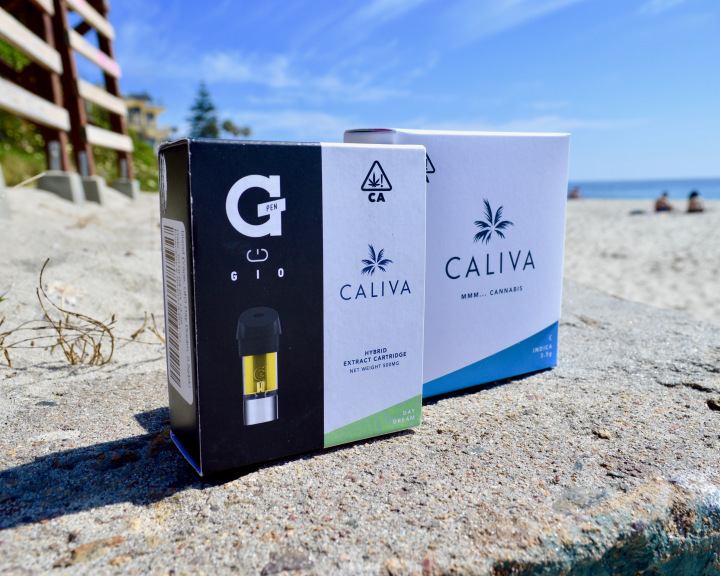 Caliva plans to release products marketed as “fun for you”, “good for you”, and “relief for you” to help consumers get their best cannabis experience. For Papa & Berkley, it’s all about helping people use tinctures and topicals to explore the vast array of products and medical cannabis therapies available to people. “Some portion of the [new user] cannabis cohort will graduate into other form factors and use cases,” says Dillon. 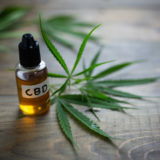 The company plans to expand into new product lines under the Releaf brand, including Whole Plant CBD products that will allow those who aren’t in legal states to access the benefits of their award-winning products. As new companies emerge, and existing companies merge to pool resources for compliance regulations that are ever-changing, Caliva and Papa & Berkley serve as excellent models of the way for cannabis product best practices in California and across the industry. 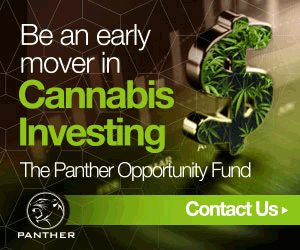 iAnthus Capital Holdings (ITHUF) recently broke ground for its new medical marijuana facility in Warwick, New York. The company and its subsidiary, Citiva are celebrating the groundbreaking of its medical cannabis facility. 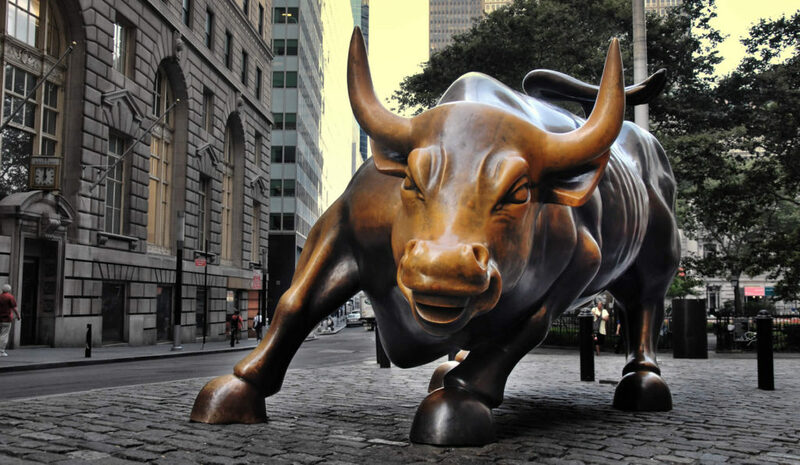 Citiva is one of only ten licensed medical cannabis producers in New York State. This location used to be the Mid-Orange Correctional Facility, and will eventually support up to 125,000 square feet of total cultivation and processing space, with an estimated yearly medical cannabis production of 2,400 kg. According to the company statement, Phase 1 of the buildout is projected to be completed in the first half of 2019. The Warwick site can eventually support up to 125,000 sq. ft. of total cultivation and processing space and will be built out in several phases. Citiva purchased the eight and a half acres of land for the Warwick facility in May of 2018 for US$526,000. Emblem Corp. (EMMBF) signed a non-binding Letter of Intent to acquire all of the issued and outstanding securities in Natura Naturals Inc. that it does not already own for C$25 million in cash, C$12.5 million in mortgage financing and 26,102,941 common shares of Emblem. Emblem recently announced a C$3 million investment in the company and an agreement for 3,000 kg of cannabis supply per year. The deal is valued at C$76 million (inclusive of Natura shares already owned by Emblem). As a result of this acquisition, Emblem will further its aggressive approach to sales growth both domestically and internationally backed by robust supply from the Natura greenhouse. 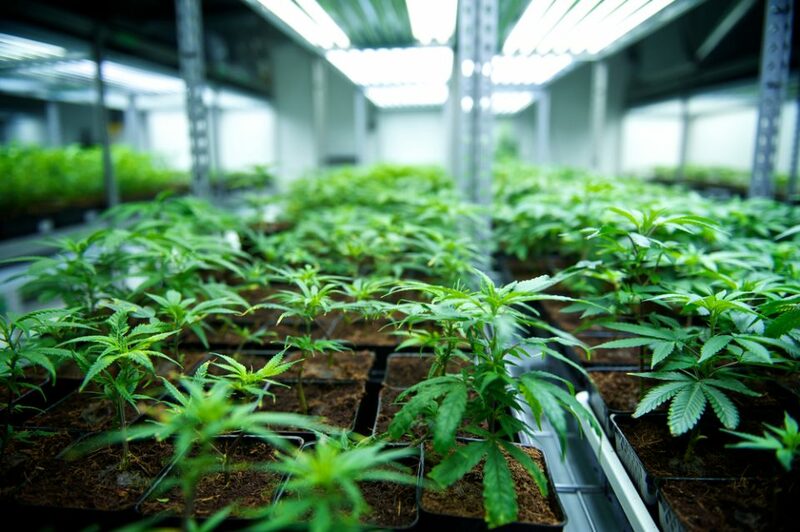 Ontario-based Natura operates a 662,000 sq ft licensed greenhouse that is currently undergoing a phased conversion and retrofit that is expected to bring up to 15,000 kg of annualized cannabis production online in 2018. Once completed in 2019, the facility is expected to bring total annualized cannabis production capacity to approximately 70,000 kg per year. Natura will also bring 32 proprietary cannabis strains to Emblem’s library, significantly increasing Emblem’s intellectual property. According to the company, Emblem currently has supply agreements with Shoppers Drug Mart nationally, the Alberta Gaming and Liquor Commission, and has an LOI to form a joint venture with German pharmaceutical wholesaler Acnos Pharma GmbH. Emblem also has submitted an application to supply the Ontario Cannabis Stores in Ontario. Under Emblem’s portfolio, it is expected that Natura will be a stand-alone brand in the adult-use market, joining Symbl, Emblem’s recently launched recreational brand. In light of the Natura acquisition, Emblem has made the decision to suspend greenhouse construction plans at their Paris Road location. The construction of Emblem’s GMP certified lab located at their Woodslee location will continue with an anticipated completion date of December 2018. The legalization of recreational and medicinal marijuana has skyrocketed its production. The multibillion-dollar industry averages 22 million pounds of marijuana annually and is expected to increase in the coming years. With the increase in marijuana production, it is inevitable that restrictions and government regulations will tighten. Matrix NV is a large contributor to the growth of marijuana production in Southern Nevada and stands ready to be at the forefront of the recreational and medicinal marijuana industry. With the mass production of recreational and medicinal marijuana, quality operations, leading experts, and tactical moves is not only a necessity, it is a requirement. Matrix NV, along with many other marijuana producers, has faced challenges when it comes to marijuana disposal laws. The most recent laws require marijuana plant waste to be rendered unusable by grinding and incorporating it with other ground materials. This mixture must be at least 50 percent non-marijuana waste by volume. Failure to meet marijuana waste disposal requirements can lead to monetary fines up to $15,000 and/or the cancellation of the business’s marijuana license. 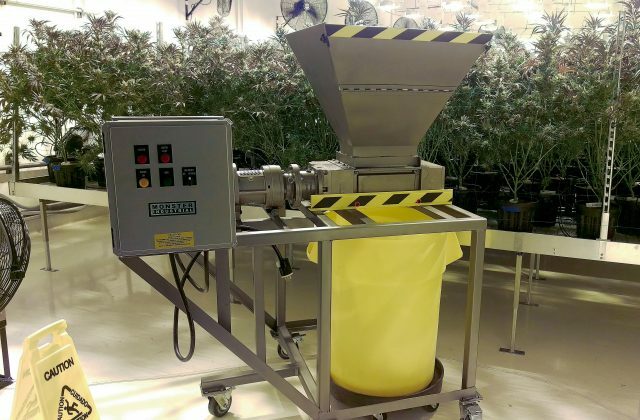 For Matrix NV to achieve the 50 percent ground waste mixture, the company was drying the marijuana waste, cutting strips of cardboard and mixing the cardboard and marijuana waste into a woodchipper. 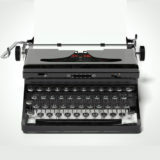 This was the best option for Matrix NV, LLC at the time, but it was not the most efficient. Routine maintenance was performed, on multiple instances, on the woodchipper, which was not meant to shred rope-like material, rocks and sticks. As a result, it was constantly clogging. Not only was the woodchipper constantly shut down due to clogs, it was producing hazardous dust and fumes. It was more of a mess than a solution. The noise of the woodchipper was extremely loud, and the gasoline used to power the woodchipper was costly. Gregg Frye, Facilities Manager of Matrix NV began researching alternatives for cannabis destruction, which would allow his facility to function and flow more effectively. That is when Frye found JWC Environmental, a company that manufactures grinders specifically for marijuana waste destruction. The part that excited Frye the most was this grinder could function in wet or dry applications, meaning Matrix NV, LLC wouldn’t need to dry the waste before grinding. The shredders would grind compostables and non-compostables without interrupts including entire plants, root balls, soil, plastic pots and other debris. The grinder would save labor and energy costs and would grind down marijuana waste and non-marijuana waste. The 3-SHRED-H-1200 was a better alternative to wood chippers due to the grinders operations. The new grinder was quiet due to its powerful electric motors, could be used inside or outside as it transmits zero exhaust fumes, and it shreds the toughest dry or wet waste more efficiently. The shredders are more powerful than a wood chipper, which makes marijuana waste disposal completely hassle-free. The grinder worked with Matrix NV’s budget and reduced the one- to two-day process to a three- to four-hour process, a 75% labor reduction for waste disposal. The grinder now shreds the wet or dry waste and operates without interruptions. No matter what you mix the marijuana with, to make it unusable – soil, plastic pots, netting, food waste – JWC Environmental’s 3-SHRED can handle it. Part 3 of 8 for 2018 Cannabis Trends: Increased demand domestically and internationally promote advancements in agricultural technology. 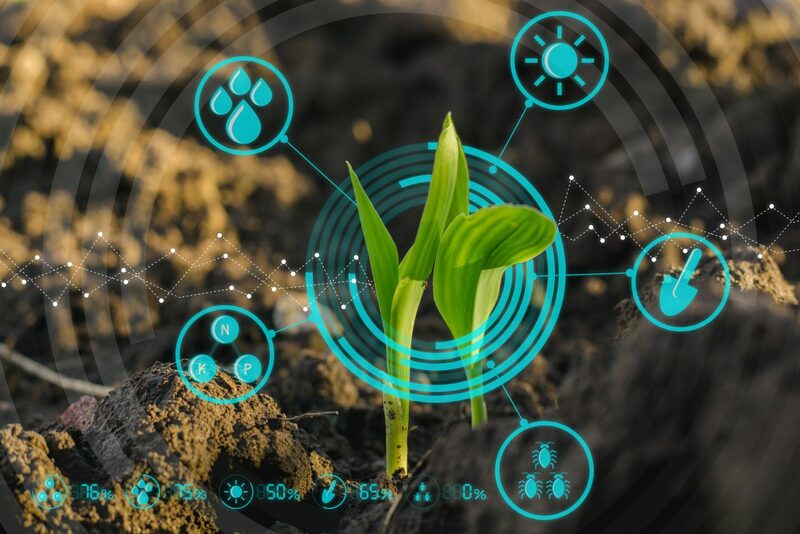 Agricultural technology in the cannabis industry is undergoing some big big changes and, in 2018, expect those changes to continue to accelerate towards automated, wireless, and efficient. The biggest catalyst for change is the Canadian cannabis market. Cannabis companies across the nation are signing supply agreements with Canadian provinces, and in order to meet those demands they are building massive production facilities. For example, several months ago the cannabis giant Canopy Growth Corp. recently signed a supply agreement with Prince Edward Island to supply the province with 1 million grams of cannabis annually. Canopy has also signed similar agreements with other Canadian provinces. 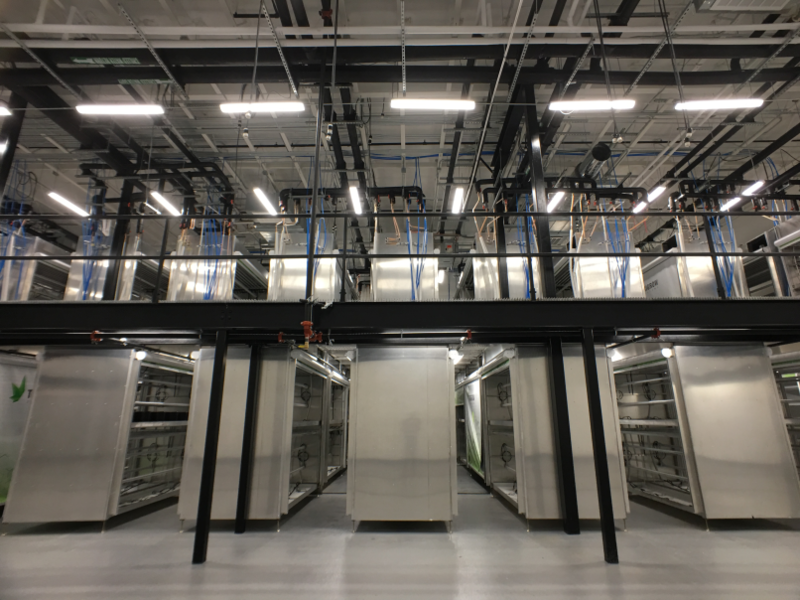 To keep up with this demand, Canopy is currently in the process of constructing two massive production facilities; one that will total 1.3 million square feet of growing space and the other totaling to about 1.7 million square feet. Once you figure in Canopy’s other production facilities, the company is expected to have over 5 million square feet of growing space; which is astonishing. In order to manage all of the space, cannabis companies are looking for ways to improve efficiency and automation. Take Gavita for example. Gavita is a lighting and hydroponics company that recently became popular with cannabis growers ever since it was purchased by Scotts Miracle-Gro. Gavita’s most popular product used to be the 1000W DE HPS system but, as grower’s search for better efficiency, the 750W fixture has started to outsell it. Expect the cannabis industry in 2018 to start moving away from traditional HPS lighting solutions in favor of both LED and Ceramic Metal Halide (CMH) Lighting. LED lights have been on the market for years now, but it’s only been recently that the price of LEDs have become competitive. 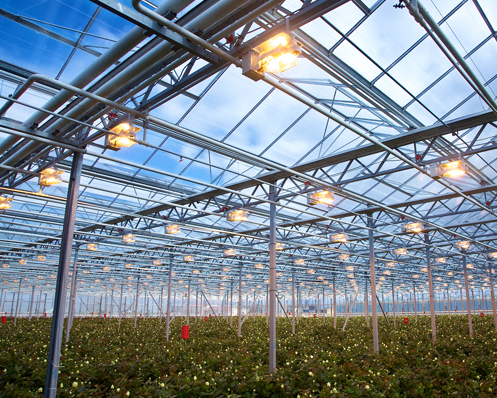 The big advantage of LEDs comes from the fact that they require less energy, emit less heat, and can manipulate the light spectrum to maximize growth. Some also claim that LEDs can help deter pests and bacteria growth, but there’s been little scientific research to confirm these claims. The breakout star of AgTech this year, however, is going to be CMH lighting. Because of their unique properties, CMH lights are more efficient than HPS lights (350W per lamp vs. 1000W), are cheaper than LEDs, and have on average a Color Rendering Index (CRI) score of 90 out of 100. HPS lights only have a CRI score of between 20-30 and metal halide lights have a CRI range of 60-65. In terms of automation, cannabis cultivators are looking to reduce as many simple tasks in the cultivation process as possible. Using platforms like Grownetics, cannabis cultivators can track their grows, automate lighting, and utilize big data to understand what works and what doesn’t. Other companies are taking automation to a whole new level. For example, a startup in Boston called Bloom Automation is currently developing a robot that is capable of trimming cannabis plants. Although the robot is too expensive right now to employ on a massive scale, expect Bloom and other cannabis companies to start seeking similar solutions in both the short and long term. For the short and long term, expect the world of cannabis agtech to bend towards automation and cheaper, less energy-intensive, lighting solutions. One company already moving in this direction is VividGro. Recently the company launched its first lightweight sustainable light fixture, GroBar, as well as announced the acquisition of home cannabis grow-app WeGrow; which the company hopes to use its technology to help provide more streamlined solutions to cannabis cultivators. You can download the 2018 Cannabis Trend Report for free by clicking here.